My name is Joline Boyle and I am a local artist. I grew up in Far North Queensland in a very remote area south of Cooktown. Although I have been living in Cairns for 12 years now. I still call the tranquil little community of Rossville, Home. I originally moved to Cairns to study Fashion Design and unintentionally fate lead me down the path to become an artist. I am currently practising in the unique style of painting with inks. Ink paintings consist of bold, bright colours that blend and swirl together, drying with a glass like effect. Often embellished with textile materials to create a 3D effect. Tropical wildlife and scenes are what I enjoy painting and seem to be quite popular with both Cairns visitors and local art lovers. I draw most of my inspiration from the beautiful place I grew up in. From the dense rainforest to the pristine coral reefs and marine life. I have a great respect for nature and the beautiful surroundings we are lucky enough to have in our back yard. I love capturing a piece of that beauty and putting it on a canvas for people all over the world to share and enjoy. 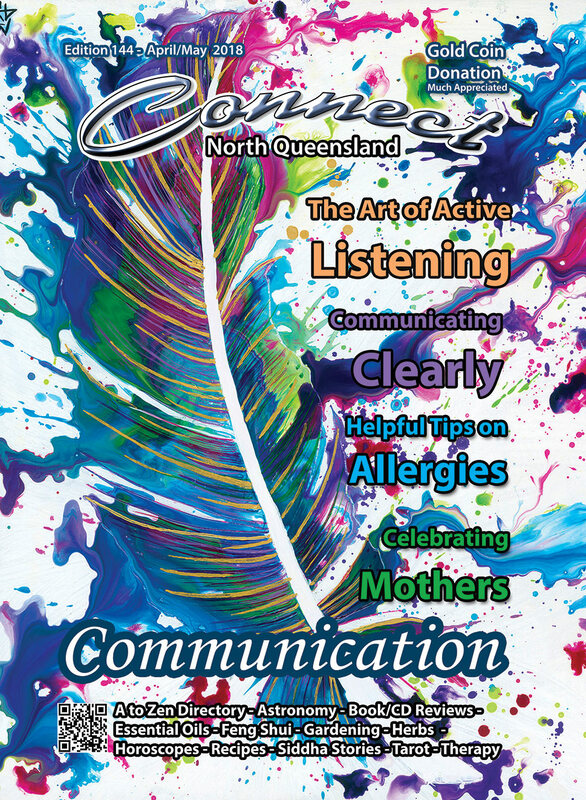 What does the word communication mean to you and how often does it happen like that in your life? Are there people in your life that you identify as being great communicators? If so, what is it that they do that makes them effective communicators. Communicating effectively is most definitely a skill. And like most skills, it is something that is learned and takes practise to develop. As the Google definition of the word communication describes, communications can take many formats. Spoken conversation, written word such as letters, magazines, newspapers or email and the modern forms of real-time written communications such as texting and chatting using our mobile phones and the internet. Each of these offer their own challenges and opportunities as a method for effective communication. In this article, I’d like share a few tips that I have found valuable in developing my communication skills from the perspective of face to face communication. If I am a person with some information to be passed on to another, I make it my responsibility to ensure that the message is passed on accurately and is clearly understood. If I am willing to take responsibility for this part of the transfer, the chance of a misunderstanding becomes far less likely. Similarly, if I take responsibility for the message being passed on accurately, I will be actively engaged with the receiver to measure how effectively the message is landing and being understood. If the receiver is having difficulty in capturing the information I’m trying to relay, I try to recall a time in my life where I’ve been in that same situation. This makes it easy for me to feel compassion for them and look at how best to assist them to understand. Getting angry will probably make it more difficult to achieve the goal. If I recall that it is my responsibility to transfer the information accurately, then I will begin to look at how I can change the words I’m using to assist them. I would also ask, “Just so I can be sure that I’ve communicated my needs clearly, please can you repeat my message back to me?” This confirmation allows me to be confident that the message has been received and it also offers clarity for the receiver This can be especially valuable if the message was a request to a work colleague or to a son or daughter to perform some task. Have you ever sat in a meeting or a workshop, where there was someone who kept asking annoyingly unrelated questions? Or maybe, they keep going into long stories about things that may have happened once upon a time with limited relevance to the purpose of the meeting? This is very common and while questions are important to robust and active discussion, it is important to understand where the question is coming from. I don’t mean, who is asking the question. I mean, why am I asking this question? When I speak, I aim to connect with my audience. 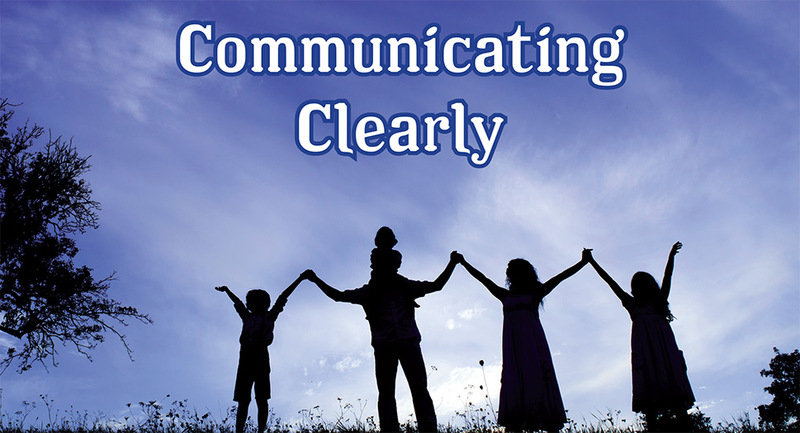 When I keep my communication Clear, Direct, Concise, Honest and About me, it offers a wonderful opportunity to allow people to connect with my message in the shortest number of words. Clear – Don’t beat around the bush. I speak about me and exactly what I need. Direct – I speak directly with the person or people who are involved or can assist. Concise – I don’t waffle on and on with story as people may not remain connected to my message. Honest – I speak my truth. About Me – I speak about my feelings, my experiences and my opinions and judgements. When I speak about we/they/them/he/she, those are my judgements and they may or may not be true. This can disconnect people from my message. In my opinion, probably the most important and sometimes underrated skills in communication is that of listening. It is also one of the easiest skills to practise. If I’m already planning what I’m going to say, before you’ve even finished speaking – that is not a very effective listening technique. Active listening involves all of our senses. Using our ears to hear what is being said. Noticing the words that are being used. The tone of voice. Looking at the person. Their body language. Their eyes. Where are they looking. Are they still or moving around a lot. Feelings – Notice whether the person seems happy or sad or angry or maybe something else. Notice if there are any feelings coming up in me, while I’m connected and listening to them. Being curious to what is happening for them in the story that is being spoken. Don’t interrupt. Ask questions at a suitable time that offer them the ability to go into more detail of their story. An exercise to practise active listening is listed here. Have fun with it and practise. made you sad or lonely? you really enjoyed and made you happy? remind you of someone that if they were here now you would like to thank or bless? At the end, each person in the group thanks the speaker and spends no more than 30 seconds telling the part of the speaker's story that meant the most to them and why. Simon is involved with the Mankind Project – an international non-profit organization of men supporting men. They have fortnightly meetings where any man may come and enjoy the sacred space created and have the invitation to share and look at what is going on his life. Mankind Project also have weekend workshops throughout Australia including the New Warrior Training Adventure – a modern male initiation and self-examination weekend.